If you wish to learn French, discover Montpellier and be independent in your accommodation, iLP offers different solutions suitable for adults. Shared accommodation is an ideal compromise for those who like the idea of sharing an apartment with other students. You will have a single or double room if you are coming as a couple. You will share the kitchen and bathroom with your flatmates. This form is intended for adult students. 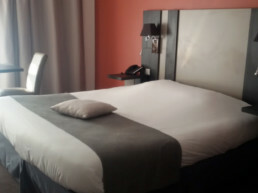 iLP offers a single or double room in an ideally located hotel in the historic centre, beside the school and the Place de la Comédie. The hotel service is included and breakfast is upon request. iLP can arrange your reservation. 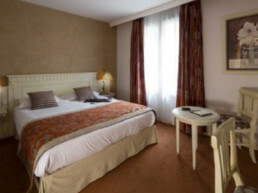 The residences are located in the city centre of Montpellier. You will share you day to day life with other students. You will be in a single room with a shower and a toilet or in a studio with a shower, toilet and corner kitchen. 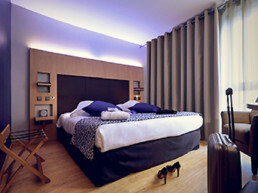 You will stay at a comfortable and fully equipped standard or superior apartment-hotel. This type of accommodation is a good way to be independent, while benefiting from the conveniences of the hotel residence, a few minutes from iLP (up to 20 minutes). The hotel services are included or upon request. Weekly rental is possible. 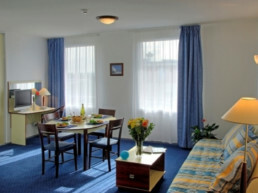 For all forms of independent accommodation, transfers are not included. Travel to your accommodation by bus, taxi or tram. iLP will provide the necessary information.